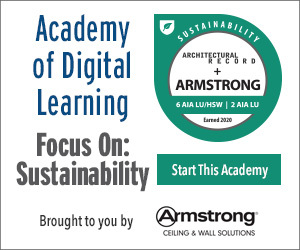 Identify the sustainability features of extruded aluminum architectural trim. Summarize the aesthetic and environmental benefits of specifying extruded aluminum architectural trim. Explore the profile and finish trim options that are available for use with fiber cement siding. Discuss moisture management and the use of aluminum flashing when designing durable sustainable moisture-free structures. “God is in the details,” one of several iconic phrases attributed to Mies van der Rohe, continues to haunt architects. Whether the meaning is a disguised plea for creating ornamentation for buildings or adding a few more inches to a roof overhang, details are where architects can and do make a difference. With today’s focus on green materials, detailing needs to meet both an architectural design aesthetic and sustainability requirements. Specifying trim for use with fiber cement siding is one instance where a knowledge of detailing can contribute to both. Constructed from 75 percent to 100 percent post-industrial and post-consumer scrap, extruded aluminum trim meets requirements for sustainability and can contribute to LEED® recycled content points. It may also be specified for interior or exterior use. Applications include an increasingly wide range of building types wherever fiber cement panels or lap siding is specified. 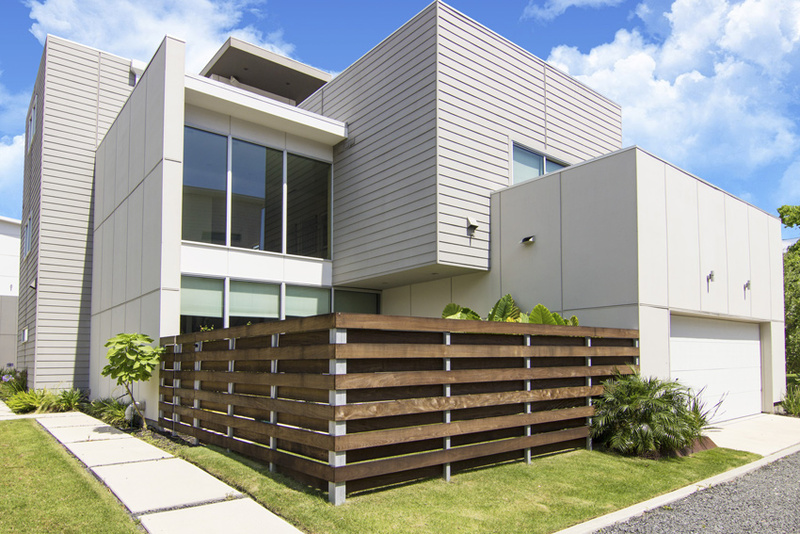 In recent years, extruded aluminum trim has begun to replace traditional wood 1x2 and 1x4 trim on single-family homes and is increasingly preferred for multifamily structures. Extruded aluminum trim products are intended for design aesthetics. They do not include an exterior insulation and finishing system (EIFS)—a type of building exterior wall cladding system that provides exterior walls with an insulated finished surface. Manufacturers usually state if their product does or does not include an insulation system. Since some extruded aluminum trim products on the market incorporate an EIFS, design professionals should note the exact description of each manufacturer’s product and its performance expectations. As a general rule, extruded aluminum trim products that are not part of an EIFS system are not designed or intended to be used in conjunction with an EIFS or similar system. Nor do architectural trim profiles form a complete moisture management system. Always a critical feature of construction, a moisture management system is the province of the architect and builder who are responsible for designing and installing a code-compliant building envelope. Again, manufacturers usually point out that extruded aluminum trim alone does not include a complete moisture management system, despite the fact that trim is designed with drain dams for vertical runs and shingle fashion for horizontal profiles. Some manufacturers do, however, supply moisture management products that complement their trim line and additionally help meet code requirements (see below). Design professionals are also advised to consult with the siding manufacturer for best-practice applications of extruded aluminum trim product in order to ensure color, dimensions, and thickness match. Extruded aluminum adds durability and longevity to construction that other trim materials, such as galvanized steel and polyvinyl chloride (PVC), lack (see sidebar Benefits of Extruded Aluminum). While initially less expensive than extruded aluminum, galvanized steel is less durable. The use of bare mill galvanized steel and aluminum flashing in direct contact with most claddings will increase chances of a chemical reaction, causing wear and break down on both products. The third-most widely produced plastic and the least expensive also has limitations compared with extruded aluminum. One manufacturer of extruded aluminum trim profiles developed and manufactured PVC trim profiles to use with fiber cement siding and soffits, and it still does. But through learned experiences and public demand, it began converting its profiles into more durable extruded aluminum. One-hundred percent vinyl trim is susceptible to swelling and buckling when exposed to direct sunlight. Moreover, PVC trim with painted dark colors, which is increasingly the choice of architects and developers, may cause the product to warp. This comes about because excess solar heat, especially in hot climates, may be absorbed, subjecting the PVC to distortion due to extremes of thermal expansion and contraction. Paint adhesion loss, blistering, and peeling may also result. It adds a design aesthetic to a wide range of building types. It offers multiple profile choices. It’s typically fabricated from custom die-extruded heavy-duty 6063 T-5 aluminum alloy with a coating that protects against harsh weather conditions and allows for paint adhesion. It’s typically designed to match color, thickness, and dimensions of the country’s major cementitious siding manufacturers and multiple other cladding options. It’s a sustainable material comprised of 75 percent to 100 percent post-industrial and post-consumer scrap and can contribute to LEED recycled content points. It can be used for interior and exterior weather conditions.